When’s the best time to ask for a review? In 2016, BrightLocal surveyed a consumer panel of 1,000 people. The results of that survey showed that, if asked, 71% of people would leave a review for a business. That’s a lot of people who are willing to leave a review if asked! We get it, though – it’s hard to ask people to leave you a review. It can feel uncomfortable and awkward to ask your customers for something after the transaction is complete, especially if you’re not particularly good at just opening up and talking to people. However, it’s something that’s really important to the success of your business online, so learning how to do it naturally is something you should definitely consider doing. Here are some ideas for when to ask for a review! A client or customer milestone is a great time to ask for a review. This could be during the sign-up process (if it makes sense to ask for you at that point), at a one-year or multi-year anniversary, after they’ve bought a certain number of products, after a loan is paid of or a house closed on, or any other milestones that make sense for your business. Take a moment and think about what kinds of milestones you hit in your business that would be a good time to ask for a review. Tell everyone at your company to be on the lookout for compliments. Any time a customer or clients emails, calls, or is face-to-face with you and gives you a compliment about how you or your business did something great, use that opportunity to ask them to turn that compliment into a review. Sometimes, people leave reviews but maybe just don’t put them in the right place. For example, maybe someone writes on your Facebook wall about how great you are. Maybe they meant to leave it in the “Reviews” section, but didn’t quite get there. Or, maybe someone on Twitter tweets out about how they use your product every day and love it. It’s a review, but it could be in a much better spot to gain more traction for you. Simply respond to that person with “Thank you so much! Would you mind leaving this as a review on our Google page?” and leave the link where they can leave the review. There are a lot of places on the Internet where you might see someone recommending your business or product. Make sure you’re “listening” to social media for mentions of your business. You can use a tool like Google Alerts to track mentions of your business across the web and consider using a social mention tool to listen to social media for mentions of you. If someone does mention you, it’s likely they’re either recommending you to a friend or complaining about you. Either way, it’s good to find those things and be aware of them! If you do see someone recommending your business on social media or anywhere else on the web, that’s a great time to ask that person for a review. NOTE: If you don’t have a feedback funnel in place such as the one you can set up with Rize Reviews, you may want to remove this from your signature when dealing with dissatisfied customers. If you don’t have a feedback funnel, it could be too risky to add this bit of text to your email signature to go out in every email. However, if you can keep it at the front of your mind to include when dealing with a satisfied customer, it’s a great way to ask for that review. Did your team just delight a customer who was having an issue? Asking for a review when someone is really happy with your support team is a great idea. 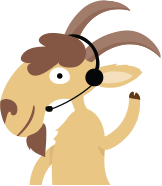 If you have a support team, try to put some sort of process in place in which they ask satisfied customers for reviews. 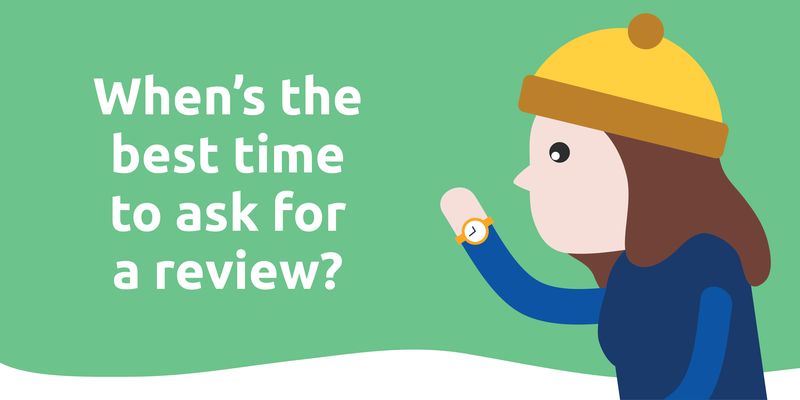 When you have uReview.me in your corner, you can ask for a review at any time, whether a customer is satisfied or not. If they’re not satisfied, their review comes to you as feedback, rather than go out to public review websites. You could keep a link in your email signature at all times asking “How are we doing?” and get honest responses all the time, plus generate more positive reviews for your company, brand or product. Ready to simplify your review process? Check out more about how Rize Reviews can help!